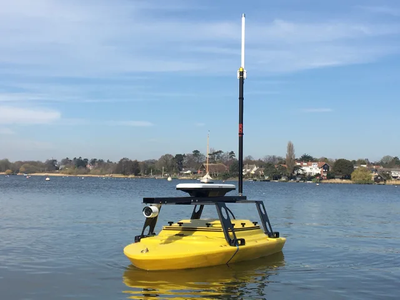 Kongsberg Maritime is launching the GeoPulse USV at Ocean Business 2019 in Southampton today. A flexible new Unmanned Surface Vehicle featuring GeoPulse Compact, Kongsberg’s newest cost-effective and lightweight sub-bottom profiler, GeoPulse USV can map environments beyond the limits of conventional platforms, fully autonomously or remote-controlled up to a range of 2km. The GeoPulse USV’s electric motors provide six hours’ endurance at a survey speed of six knots, with a conveniently interchangeable battery pack. Its compact form factor and class-leading agility enables coverage of areas inaccessible by more conventional launches. With more than 100dB of noise-free dynamic range, the GeoPulse Compact provides repeatable, high-quality data without needing user-controlled analogue pre-processing. GeoPulse Compact consumes only 11% of the power requirements of earlier GeoPulse systems, while still providing the same data quality and accuracy, and a data rate exceeding 100Mbps. 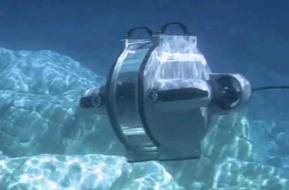 Its adaptable digital processing and waveform selection technology (2-18Khz) ensures that the optimal power signature, pulse shape and configuration can be chosen to suit a broad range of specific survey tasks. Combining frequency-modulated (Chirp), continuous wave (Pinger) and Ricker (Mexican hat) pulse forms, the GeoPulse Compact offers the best amalgam of penetration and resolution, with clearly-defined return of sediment layers. The system has a user-friendly operating method, controlled from a laptop using the supplied GP1000 software which is interfaced to the deck unit via an ethernet radio modem.